MecSense AS is a private limited Norwegian start-up company established in 2011 and is headquartered in Oslo. Founder-member Olav Ellingsen currently holds the post of Chairman and CEO in the company. We aim to provide revolutionary solutions in monitoring moisture, surface homogeneity, density and viscosity in different bodies and liquids accurately under different weather or environmental conditions. Thus, a diabetic needs frequent injections of insulin which is predominantly dependent on diet. If too much insulin is absorbed, the glucose level goes too low leading to Hypoglycemia. Too little insulin leads to Hyperglycemia. In order to control the glucose level, diabetics needs to monitor their glucose Level. The “holy grail” has been and is to develop a non-invasive continuous glucose sensor which would provide freedom to millions of people enslaved in SMBG. 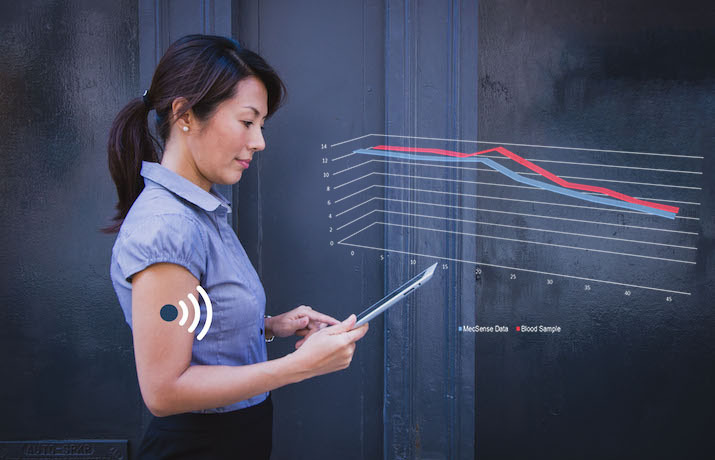 The MecSense non-invasive CGM Indicator may provide reliable, error-free and cost-effective method of monitoring glucose concentration in the body. MecSense CGM Indicator has the potential to make glucose monitoring in diabetics completely, painless and hassle-free. Data collected from some pilot studies carried out by the company have so far provided strong evidence to support the claims made by the company. However, larger clinical studies, both randomized and controlled, are now underway and future of the product would largely depend on the outcome of these tests. This device can not only transmit all signals to a smartphone or a similar device where the glucose levels can be studied but it can also send a quick alert to a doctor or a relative of the patient in case of a health emergency of the patient through its use of GPS. MecSense will start to apply for regulatory licenses for commercialization of this device once the studies are completed.